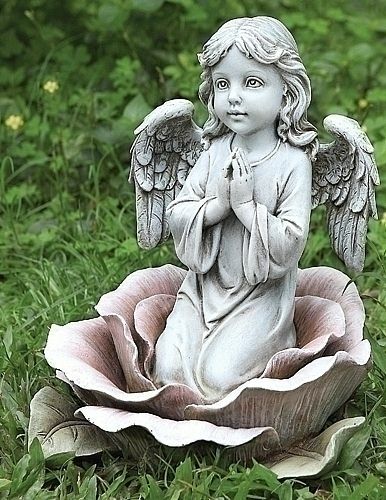 One of our beautiful and inspiring angel sculptures, this piece highlights a large rose holding a little angel in prayer seeking God's presence for you. Resin and stone mix. Dimensions: About 11"H x 9"